Betsy DeVos never considered using federal funds to arm teachers. Are teachers allowed to carry guns at school? Over half the states have a law allowing teachers, admins or others to carry a gun in schools—Alabama, Arkansas, California, Colorado, Florida (only after the shooting at Stoneman Douglas High School in February 2018, 13 school districts in Florida began allowing teachers to carry,) Georgia, Hawaii, Idaho, Indiana, Iowa, Kansas, Kentucky, Massachusetts, Michigan, Minnesota, Mississippi, Missouri, Montana, New Hampshire, New Jersey, New York, Ohio, Oregon, Rhode Island, South Dakota, Tennessee, Texas, Washington and Wyoming. Some rural school districts allow teachers and administrators to carry due to the response time of police. Because many states’ laws leave it up to the school to allow concealed carry, most teachers and administrators—as well as students—are left defenseless. Most of our schools are still gun-free zones even though the law allows teachers, administrators and support staff to legally protect themselves from an active shooter. Despite what the media wants you to believe, there have only been five mass shootings at a K-12 school since the year 2000. A mass shooting is defined as four or more people getting murdered in close proximity to each other in the same time frame. Those shootings occurred in Red Lake, Minnesota; Newton, Connecticut; Marysville, Washington; Parkland, Florida; and Santa Fe, Texas. During the time of the shootings, only one of those allowed school staff to carry guns. Minnesota allows teachers to carry with permission from their principals. There were only two known teachers who carried in the entire state at the time. In Utah, 5 percent of teachers and 10 to 12 percent of support staff carry a gun at school. There has never been a mass school shooting in Utah. Would allowing guns in schools make kids safer? This question has been debated for years. 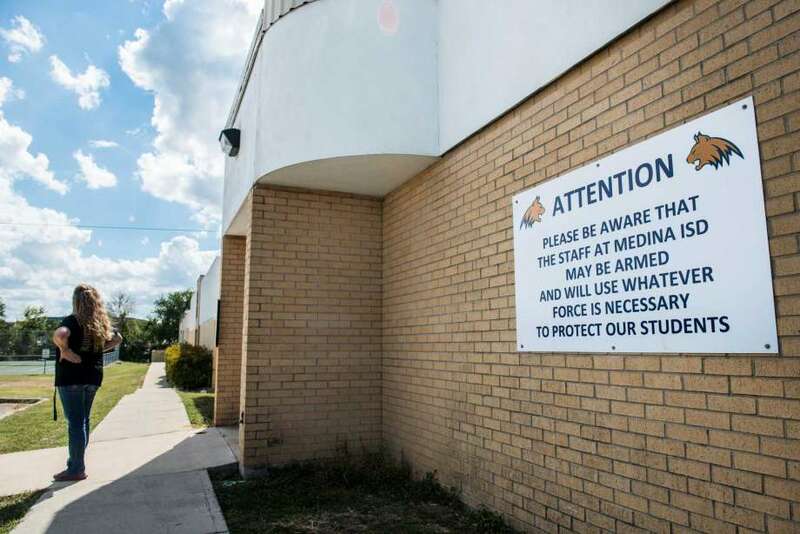 Recently, the Texas Education Agency sent a letter to the U.S. Department of Education asking if grants from the $1 billion Student Support and Academic Enrichment Program could be used to provide firearms and training to staff. The Department of Education decided not to respond to the letter. The New York Times picked up the story instead and reported that the Education Secretary, Betsy DeVos, was considering using federal money to buy guns for teachers. There is nothing written about guns in the 2015 Every Student Succeeds Act which the Program falls under…because there was no need to. Could the Program technically be used to fund arming teachers? It looks like it could. Is DeVos facilitating that? Absolutely not. In the past, DeVos has voiced support for states letting teachers carry. Despite popular belief, not every school has a school resource officer—a specifically-trained law enforcement or police officer—posted on campus. A report released by a branch of the United States Department of Education called the National Center for Education Statistics claims that 43% of public schools have an armed police officer on campus at least one day a week. While the National Association of School Resource Officers says that only 20% of all public and private schools have police on campus. Years ago, I was invited to present at a middle school on career day. It wasn’t a secret that this school had a rough reputation. The kids there had a problem with fighting. Students at this particular school—one of the worst in the district—had an 89% chance of dropping out. 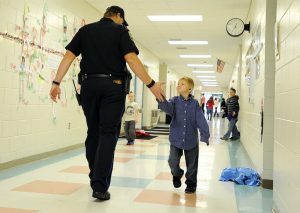 Though the school I visited had a school resource officer, he never carried a firearm. On the day of my arrival, I walked right into the front doors, passed the office and straight into the classroom to which I was invited. No one stopped me, I didn’t have to check in anywhere, nor were there any security measures in place. It bugs me to this day. Most teachers I’ve spoken to—even those who are pro-gun and gun owners themselves—have expressed they believe carrying or keeping a gun in the classroom is a bad idea. Siting logistics as the biggest hurdle—where would their gun be kept where it was quickly accessible but unavailable to students? These teachers would rather see the money go towards more awareness training, better security measures and certainly armed resource officers in every school. There are teachers throughout the country who have a right to carry conceal and exercise that right with very minimal rates of mishaps. Unfortunately, the media only report when something goes wrong. I found an Associated Press article citing that since 2014, nine people have been injured due to negligent discharges in schools—including those done by armed law enforcement officers. As far as those funds from the Student Support and Academic Enrichment Program going toward arming teachers and training them in active shooter response, that’s a decision left up to Congress, not the U.S. Department of Education. Would Arming Teachers Make Schools Safer? Though the armed school resource officer did not enter the building at Marjory Stoneman Douglas High School in Parkland, Florida, studies have shown that armed police officers on campus do deter crime and violence. School resource officers have stopped shooters at schools in Great Mills, Maryland; Dixon, Illinois; Blountville, Tennessee; and Ocala, Florida. 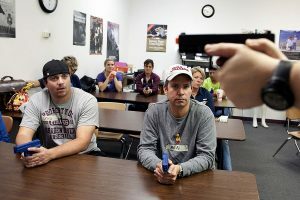 Are you a teacher who believes you should be able to carry a gun in the classroom? Do you think funds from the Student Support and Academic Enrichment Program—or any other program—should be available to make your classroom and school more secure? We’d love to hear from you! Leave your thoughts in the comment section.